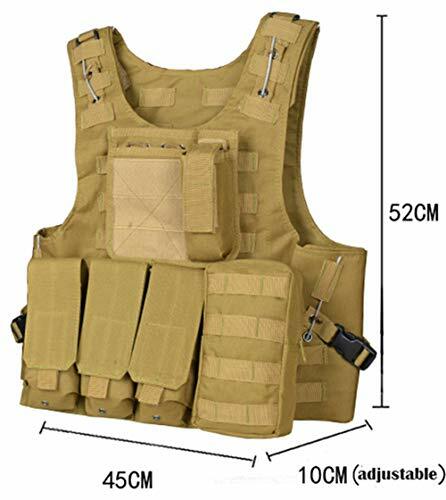 A lightweight camouflage combat vest which got 3 reduced wallets, along with a Velcro fasten, one smaller uppermost wallet, also along with a Velcro fasten, as well as an edge MOLLE pouch along with a zipper. This is fully adjustable. One size fits most. 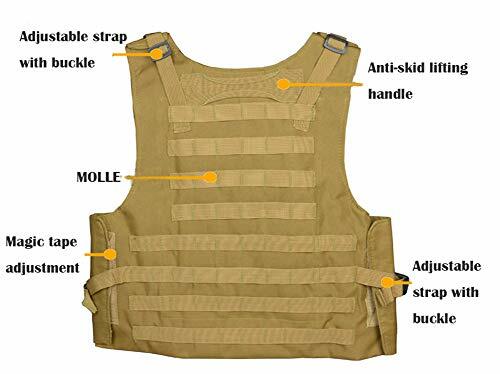 This is fastened at each sides with Velcro as well as at the shoulder. 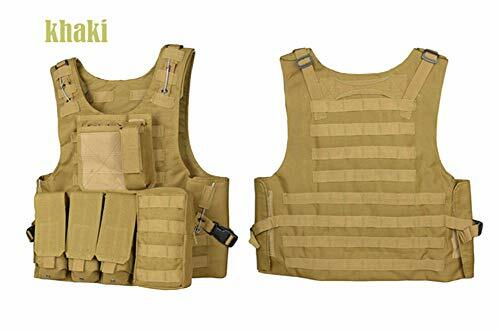 Can be utilized for airsoft or outfit wear and tear. Not suited for military soldier or law enforcement expert. High Quality and Durable: made by 600D Nylon. Military Grade materials and stitching. Adjustable size: one size fit all. Size from 20 X 43inch (H x W). Fully adjustable in girth and length to a customized size through adjusting Velcro on sides. Shoulder is also adjustable. 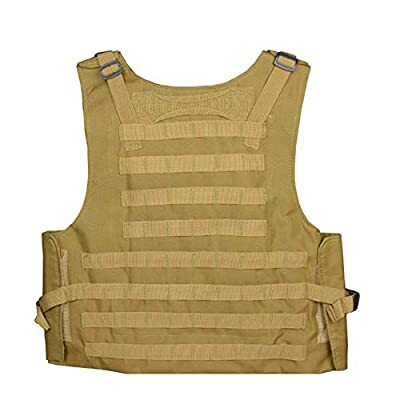 This vest is not compatible with any additional Plate. 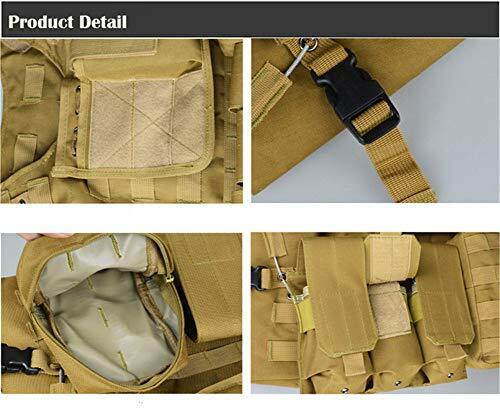 Multi-options bag: 3 Deluxe Adjustable ammo Mag Pouches, 1 Mag/Flashlight Pouches, 1 medic Pouch. 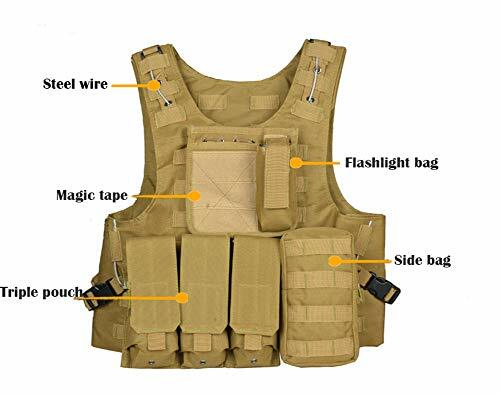 A Great Modular Tactical Vest for Airsoft and Paintball Battles MOLLE & VELCRO: vest was constructed with modular webbing for attaching additional camouflage material and pouches Great for tactical training, combat, assualt, shooting training and CS. This tactical vest is a great choice for you in paintball, airsoft and other outdoor activities such as hunting, camping and even on duty High quality nylon material, tensile wear-resisting ability strong, both the comfort, feel is more flexible The item will be shipped within 3 days after your payment. We will ship the product via USPS; it will normally take 7-15 days in the delivery time. If you need it in urgent, please choose the expedited delivery. We will ship it via UPS and you will receive the product within 3-5 days.